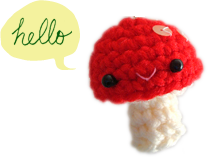 I listed a very small quantity of items at friends‐and‐family prices in order to find them good homes, I only have one of each at this time. 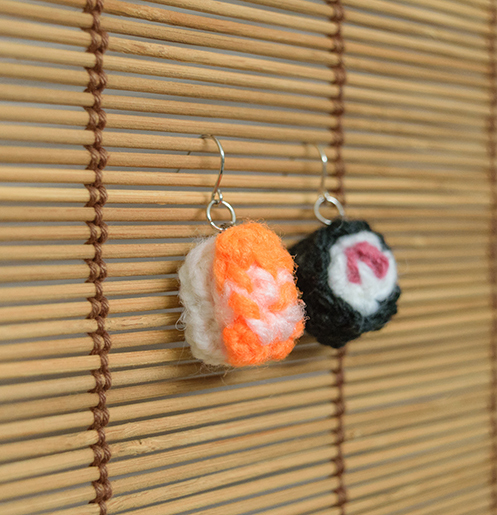 And a few pairs of tiny sushi earrings. There are 3 different sushi combo sets, you can see the other sets in the listing. 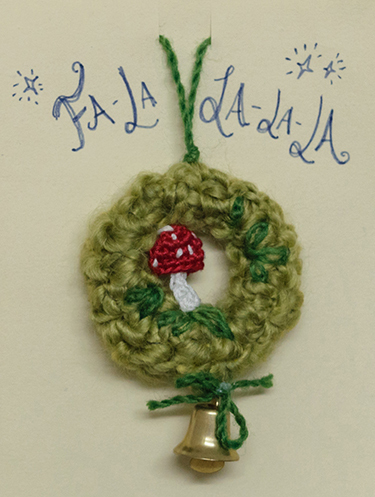 To make sure the the orders will arrive before December 25, please place orders before Dec. 10 for Canada/US destinations and before Dec. 1 (that’s in 2 days!) for international destinations. 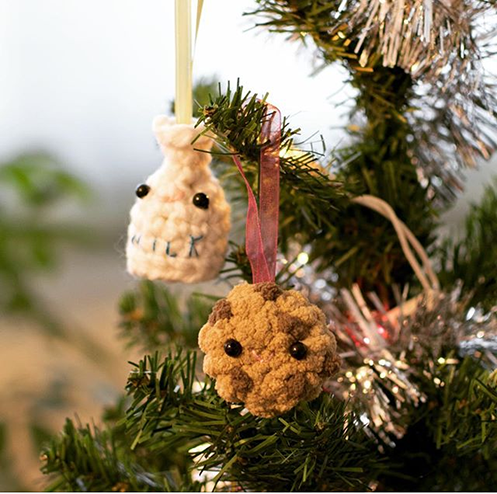 Have a look at the genuine mudpie shop if you’re looking for some handmade tiny plush to spread holiday cheers! Wishing everyone an excellent rest of the week! weekend quick make, with hex nuts!